Versatile, concentrated, biodegradable, one step cleaner that removes the airborne contaminates that attach themselves to decks, logs, sidewalls, dimensional lumber, brick, metal, plastics, painted aluminum siding and most other substrates. Works with pressure washers, steam cleaners or hand washing in hot or cold water. • Contains No phosphates, No caustics and No acid — will not etch glass. 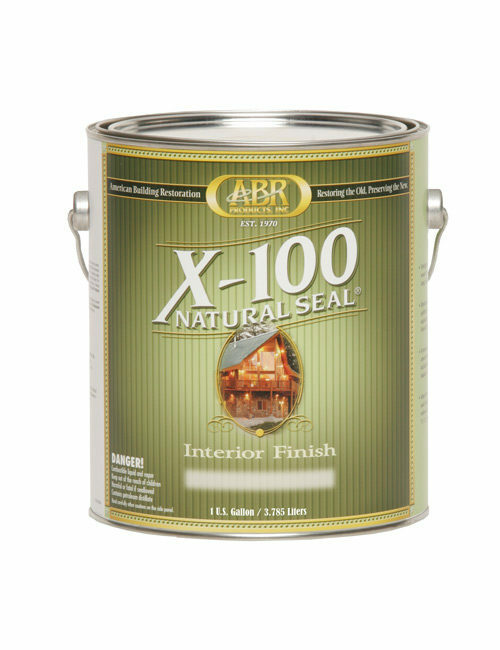 ABR® Deck & Siding Wash is a versatile one step deck cleaner designed to remove surface dirt and paint oxidation from painted and non-painted surfaces. This versatile product cleans wood decks, log homes and wood sidewalls. ABR® Deck & Siding Wash is compatible with pressure washers and steam cleaners, yet can be used when washing by hand and followed with a garden hose rinse. The product works with both hot and cold water, is biodegradable; contains no phosphates, caustics, or acids; and will not etch glass. 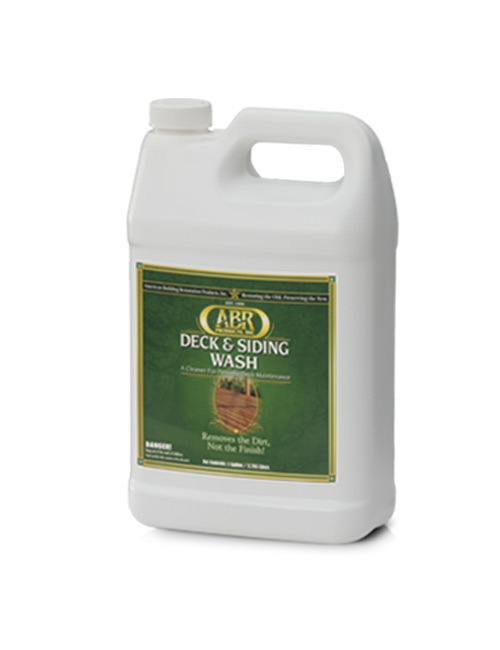 ABR® Deck & Siding Wash is ideal for periodic use, whenever deck surfaces require cleaning. COVERAGE: 300 sq. ft./gal. when diluted according to instructions, and depending on the porosity of wood. * CONCENTRATE: 1 gallon makes 10 ready-to-use gallons. May be used up to a 1:10 dilution, covering up to 3,000 sq. ft. per gallon, for light cleaning.